I also have a button collection but it doesn’t seem as sizable as yours. Mostly I buy on a project by project basis or when I see a few nice ones on clearance. Then I sort them by color. Easier to pick them out that way. I sort by color too! That is my favorite part. 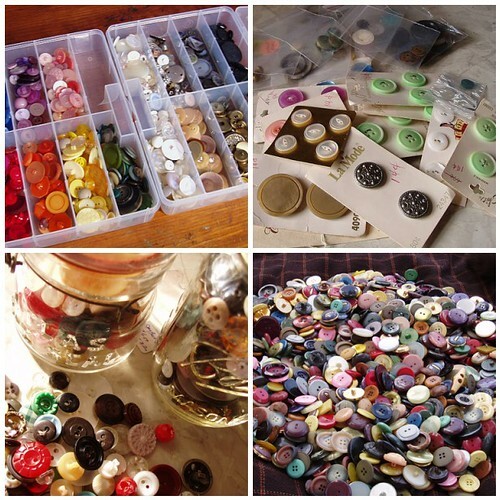 And it looks like I have a huge stash, but I have given away a lot of those buttons over the years. Now that I am a vendor, I’m gonna sell ’em! Ha!